Design really good slip-on roller skate Doop. Doop in-line skates are suitable for experienced riders and beginners, with 84 mm wheels and a shorter frame are skilful and easy to operate, have a lower center of gravity and are therefore ideal for city driving. The biggest advantage, however, is the very design of the skates and their deployment directly on their own shoes - you no longer have to worry about where to store your shoes, which you will appreciate in an urban environment. The structure is solid, well-designed and fully adjustable to suit individual needs. It is available in two sizes, 36-43 and 43-49, while the exact size of the shoe is quick and easy. It is also possible to adjust the position of the tarpaulin strap with the buckle before the first ride. When put on, the skate is secured in three places - the aforementioned strap with a buckle with an unintentional buckle, a Velcro strap in the toes and two straps at the top of the skate, which are equipped with extra durable Velcro. The angles of the clamping elements and the joint together with the pleasant pad ensure a firm and secure fit of the foot and ankle support. The support provided in this way prevents the loss of energy during skating. 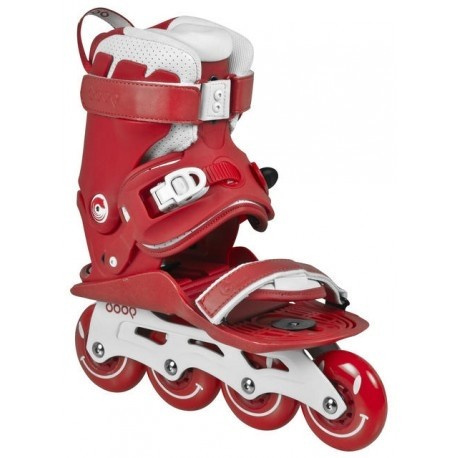 Strong foot hold helps all the power to be put into speed without unnecessary losses, so skates are not only suitable for the city, but also for fitness and longer trips. Doop Skates, like all PS products, are made with maximum detail. Style, comfort, variability and maximum driving enjoyment. 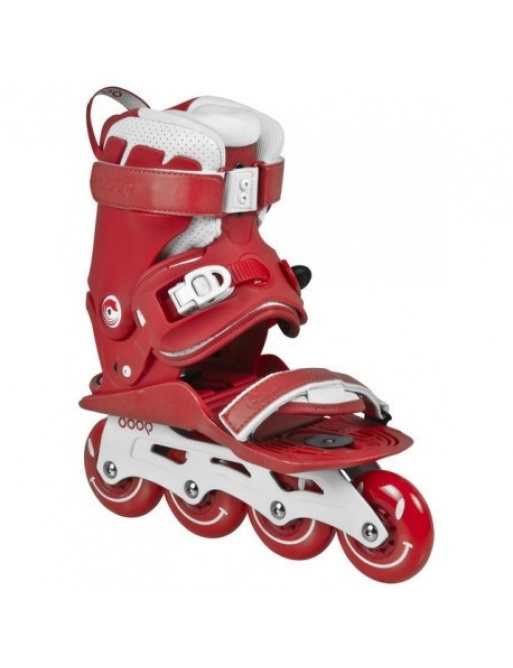 0 Review "Powerslide Doop Classic Red in-line skates"